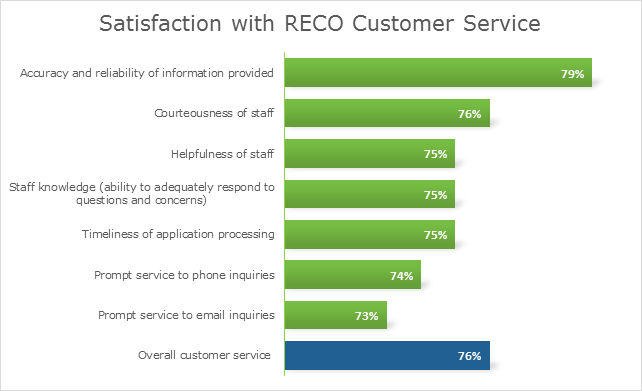 Every two years, RECO conducts a survey to better understand how registrants feel about RECO’s services. The feedback from the survey helps us ensure that we are effectively meeting our consumer protection mandate. This year, The Portage Group conducted the survey on RECO’s behalf. “We saw solid results for an organization with RECO’s size and mandate,” says Geoffrey Thacker, Executive Partner at The Portage Group. 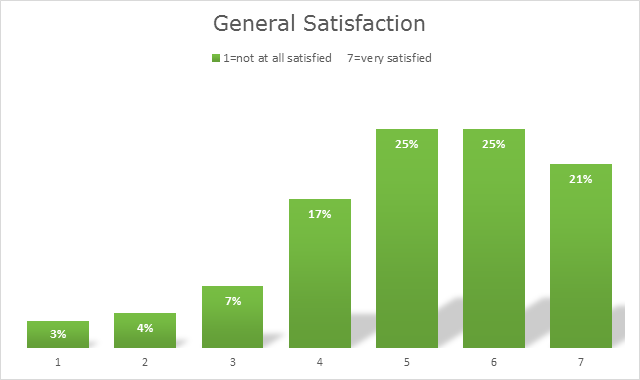 Respondents were asked to rank their satisfaction on a seven point scale, with seven indicating the highest level of satisfaction and one the lowest. The Portage Group has conducted studies for 40 similar organizations, and the average satisfaction score is 63%. That means RECO is doing better than average, but there is room for improvement. 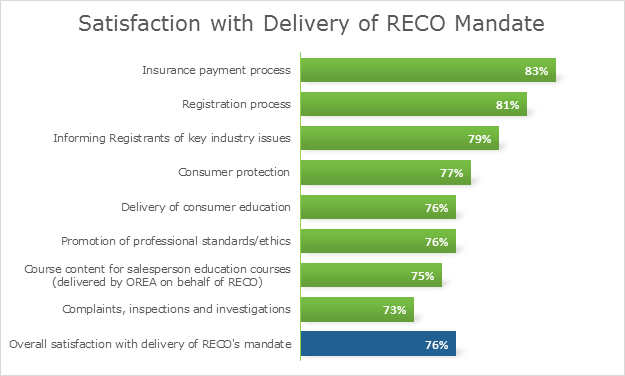 Measured satisfaction with various ways that registrants interact with RECO. 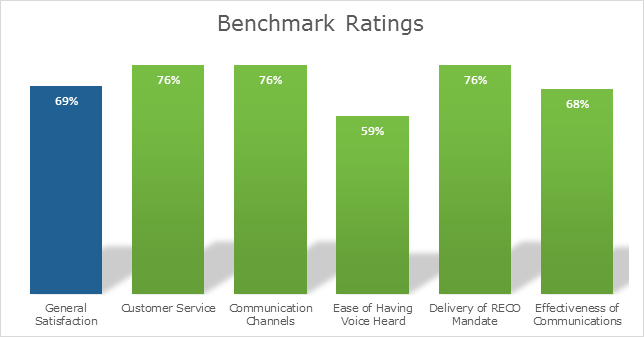 Those who used MyWeb or visited the RECO office expressed excellent satisfaction levels. Those who called or sent an email were reasonably satisfied. “We’re pleased with the positive feedback we’ve received in these areas, but there’s still room for improvement,” says RECO CEO Kate Murray. RECO is providing additional customer service training to all staff and setting higher service standards for customer service responsiveness. Efforts to improve customer service are ongoing. Delivery of RECO’s mandate includes our key regulatory activities. The insurance and registration processes were rated as excellent. Other areas, like consumer education and promotion of professional standards and ethics, received ratings in the “very satisfied range.” Complaints, inspections, and investigations was lower than the others, at 73%. This is something RECO is addressing by making the rules more clear, changing how we handle advertising complaints, improved communication during the complaints process, and more. We believe that these improvements will lead to increased satisfaction in the next survey. Registrants were asked about the effectiveness of RECO’s communications and how easy or difficult it is to have their voice heard by RECO. Although the results are very similar to comparable organizations, we’re working to communicate better with registrants and get them more engaged via improved outreach. This includes improved bulletins on regulatory issues and the upcoming Advisory Group that will include members from the real estate sector.